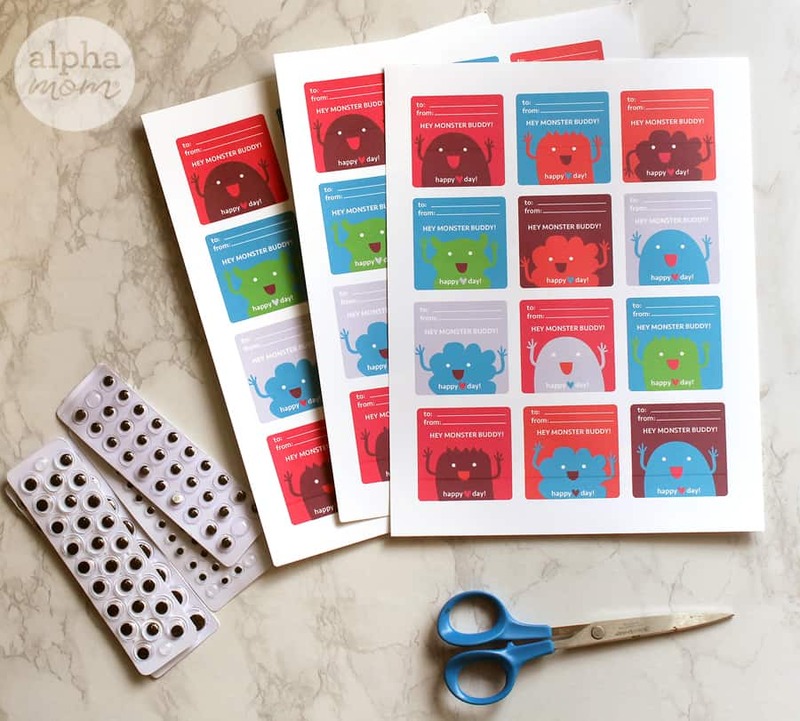 Prev Lunar New Year: Year of the Pig Printable Next Latte Love for Teachers and Friends on Valentine’s Day! We love how you can find lots of different options for free Classroom Valentines on the internet. Best thing ever! No more buying boxes of generic valentines at the drug store. 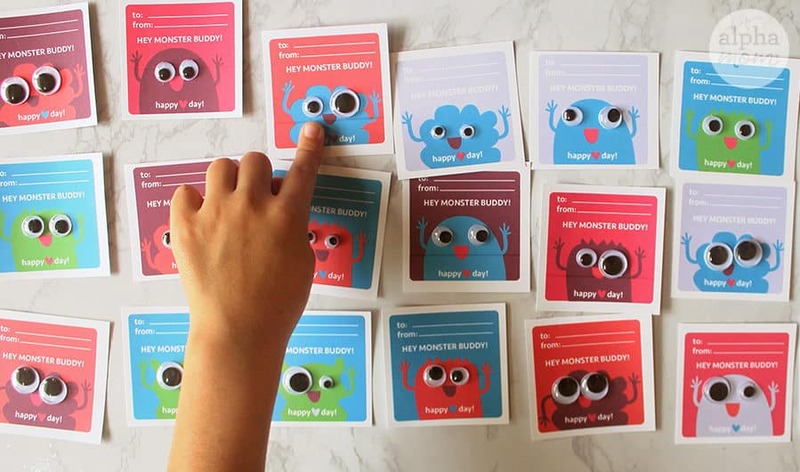 This year, we made you some MONSTER BUDDIES for Valentines! 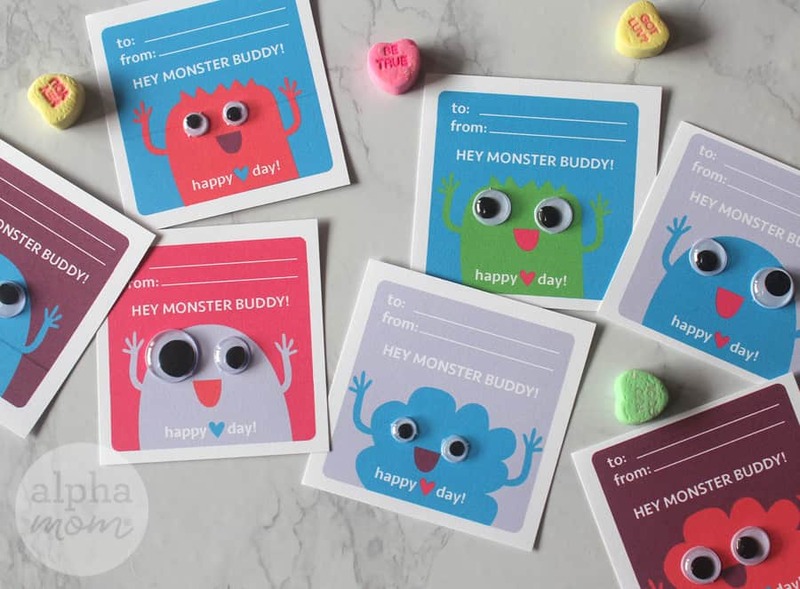 You know what’s great about monster buddies as valentines? You can add GOOGLY EYES, too! So easy, so fun. 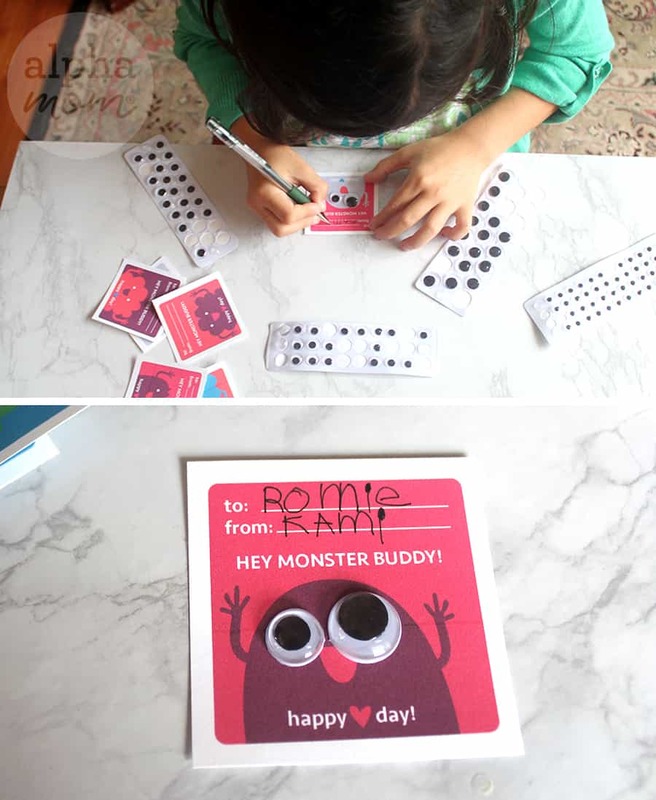 All you need is our printable (just download and print) and some self-adhesive googly eyes. Really, you should have self-adhesive googly eyes on hand anyway. They are one of the best invention ever and a great way to cheer up on a dreary winter day. Stick them on everything! But most important stick them on our valentines. How can you not crack up when you get these valentines from your classmates and/or friends ? The googly eyes are everything. Plus, sticking eyeballs on is great for motor coordination. Now go out there and scare up some love! Happy Valentine’s Day! Pink Fluffy Unicorn Valentine Printable for Kids!